Christmas is a reminder to us all that at the center of our universe is a personal relationship. 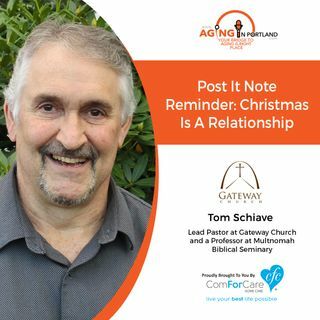 Pastor Tom Schiave of Gateway Church reminds us with 4 "post-it notes" what Christmas is really all about. Merry Christmas to all of you, our listeners at "Aging in Portland"!